Planning to get back in the water? If it has been more than an year from your last dive or you just feel like refreshing your memory then the Scuba Review program is the way to go. During this half a day program you will refresh your knowledge on basic dive theory first and then do a refresher dive in the swimming pool. After a break you will get back in the open water by doing an afternoon dive. All 3 phases are done with one of our experienced divemasters. 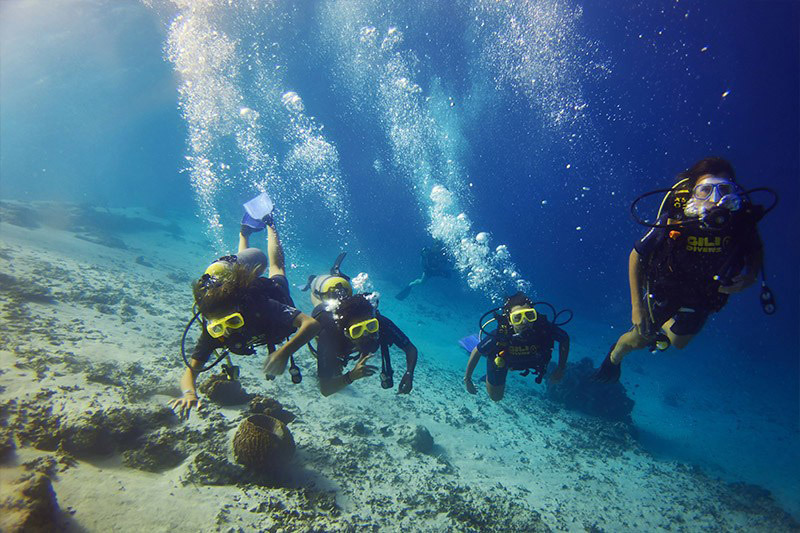 Once you have done your Scuba Review you can continue fun diving with us as much as you like. Scuba Reviews can be included in our dive packages.